Aleviate stress and tension, relieve migraine pain, increase blood circulation, and enter a mode of relaxation with this revolutionary head massager. 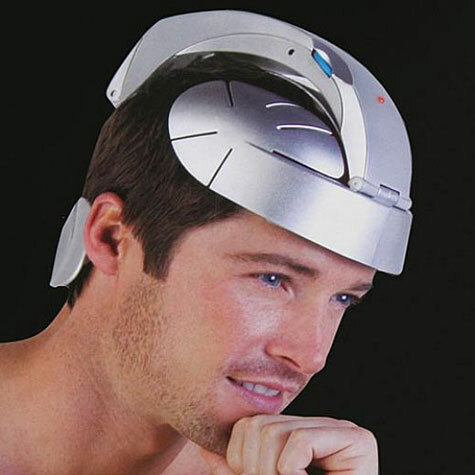 The device’s application of accupressure simulates the sensation of hundreds of fingers simultaneously massaging your scalp. The cap fits comfortably on any head and easily adjusts to accomodate different sizes. The patented design is lightweight and easy to use while at your office desk, on the morning commute, or while enjoying your evening television program. Includes a rechargeable battery and AC adapter. Size: 10″ x 6 1/2″ x 7″.